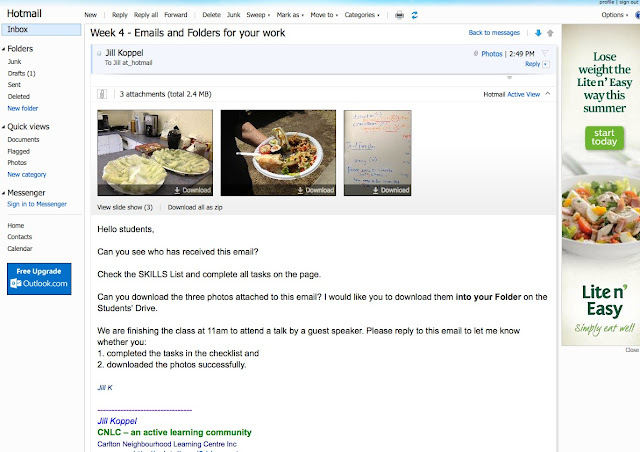 In week 4 we are revising all our email skills and downloading some email attachments into our folders. 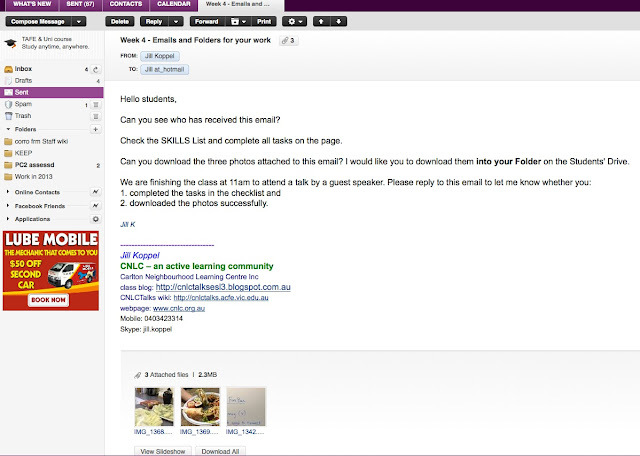 Here is a screenshot of an email. What is attached to the email? How many TABS are open? How many new emails are in the Inbox? 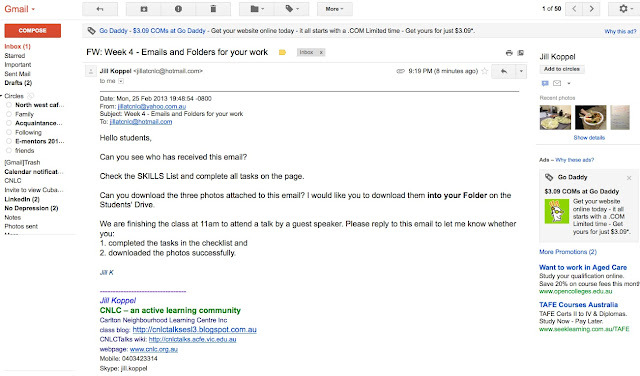 Here is a screenshot of the same email received at Hotmail. Where can you go back to your Contacts? Where can you go back to your Inbox? 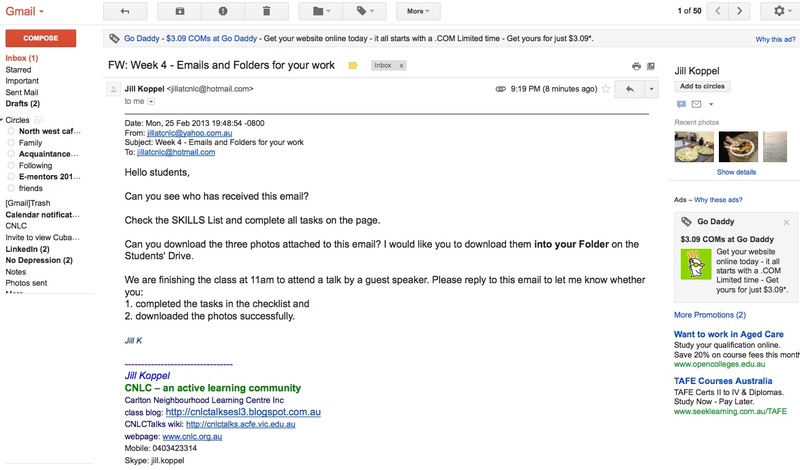 Finally, have a look at the email in Gmail. Are there any differences in the gmail screen? Where are the photo attachments? Where can you go back to Contacts? Are there any TABS like in Yahoo? How many advertisements (ads) can you see?